As you may imagine, given my first name, I have a vested interest in St. Patrick’s Day. Indeed, one set of great grandparents was Irish – Bridget and Patrick Curtin. They arrived in New York in the 1860’s, most likely from County Cork, although my sister, the family genealogist, has yet to find any verification of that. But whether Cork, Galway or Sligo – they were Irish. No doubt you are aware that St. Patrick is the patron saint of Ireland; he is the bishop who drove snakes from the island; and he is the saint in whose honor cities in the U.S. pour green dye into their rivers in mid-March. In honor of Ireland’s favorite saint, then, here is a story about Patrick that you may not have heard. Patrick was sent to Ireland in A.D. 431 to be the island’s first bishop and to convert the pagan Celts who lived there. He seems to have had a rough time of it. The Celts were stubborn and wanted him to prove that what he told them about the joys of heaven and the punishments of hell were true. Perturbed by their stiff-necked resistance to his message, Patrick set out to pray on the matter. He went to a lake, Lough Derg – today it’s the largest lake in County Donegal. To continue: Patrick went into a cave on one of those islands to ask God to show him how to go about converting the stubborn Celts. God responded by taking him on a nocturnal trip to Heaven and to Hell. Apparently, after this intervention Patrick was so eloquent about what he’d seen that the pagan Celts were convinced. In the years following Patrick’s death, ecclesiastical settlements were established on both islands, and pilgrims flocked to them. By the 12th century Patrick’s Purgatory on Station Island had taken precedence over Saints Island because it laid claim to the cave where Patrick had had his visions, and its promoters promised similar visions to the penitent and prayerful. To be admitted, pilgrims had to go through many ecclesiastical hoops, not to mention the difficulty of getting to Ireland and Leogh Derg in the first place. As for Patrick, given the number of stories that have attached to him he is as much myth as real. Did he ever really go to Lough Derg? Possibly. Possibly it was a pagan holy place like so many of Ireland’s caves, wells and streams, and Patrick may have gone there to appropriate it for Christian use. In any case, Patrick’s Purgatory is still on Station Island, although the cave was long ago replaced by a basilica. You can visit if you like – not as a tourist (no cameras allowed) – but as a pilgrim in search of renewal and peace. As for the story about the giant serpent, I would not put too much credence into that. 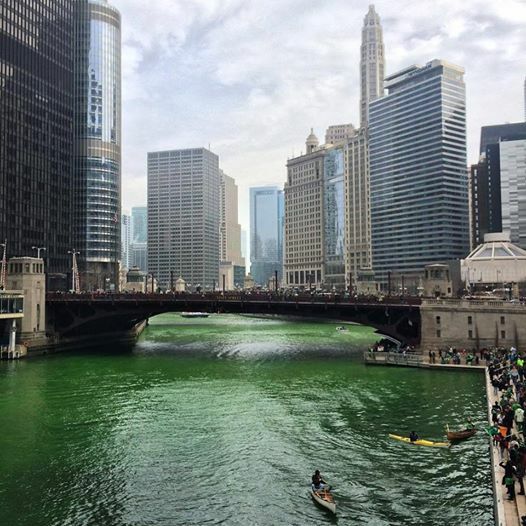 And to my knowledge, the blue water of the lake has never yet been dyed green on March 17. The Irish leave that sort of thing to the Yanks. This entry was posted in History, Ireland and tagged Ireland, St. Patrick. Bookmark the permalink. Hi, Loch Derg is quite the tough pilgrimage. When I was young I climbed Croagh Patrick in Mayo at midnight and came down the mountain at dawn barefoot as part of my penance. That was easy compared to what we heard of Loch Derg. So, I Never had the nerve to try it. Hi Maureen. I have never been to Loch Derg, but I did see Croagh Patrick recently, from a distance. And I have seen photos of pilgrims walking barefoot from its peak. I’m trying to imagine you climbing the mountain at midnight, spending the night and descending at dawn, and it seems quite rigorous to me! I honor your commitment, courage and devotion. I don’t think I’d have the nerve to accomplish what you did.